You Are Here: Home > Looking for Pre-Owned? Get the Silko Advantage! Looking for Pre-Owned? Get the Silko Advantage! At Silko Honda we include a Free Lifetime Warranty on every pre-owned vehicle we sell. Our Lifetime Warranty takes the factory powertrain warranty on your vehicle, and extends it for as long as you own your car. Unlimited years. Unlimited miles. And, you don’t have to service it here. Service whenever and where ever you want. It costs you absolutely nothing, and it covers most makes and models, not just Hondas! 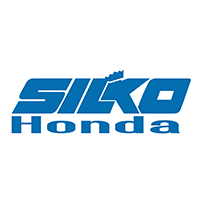 This Lifetime Warranty is part of our Exclusive SilkoCare Plus program, and you will only find it at Silko Honda. *SilkoCare Plus is available on vehicles 8 years or 85,000 miles and newer. Excludes some German vehicles. Get more details on our Lifetime Warranty. Looking for an older model? We have you covered! If your vehicle isn’t eligible for SilkoCare Plus, you still get SilkoCare, Free! SilkoCare gives you Buy One Get One Free Oil Changes, and Free car washes, for as long as you own the car! Again, you can service your vehicle anywhere you want, but when you service it here, every other oil change will be FREE! That’s SilkoCare, and you can only get it at Silko Honda!